Exercise. It’s the one thing that seems to be the hardest for those living with high blood pressure or are pre-diabetic. Eating healthier can be tricky, but with so many yummy and healthy food options, changing your diet can be done some willpower. It’s the exercise part that seems to keep people stuck in the cycle of high blood pressure. The Yale researchers asked what treatment or intervention appealed the most, and they found that only a monthly shot ranked lower than exercise. Even more discouraging, some respondents were unwilling to adopt any of the four proposed treatments, even if it meant living an additional year or five years. The preferable method of lowering blood pressure was popping a pill (aka: prescription medication) or getting a monthly injection. In most cases, those who took part in the study by Yale preferred pretty much every other alternative to exercise. “I suspect many people are hesitant to take lifelong medication or to adopt lifelong lifestyle modifications, and some of that is because many don’t believe it’s going to have much of an effect on their well-being,” said study author Dr. Erica Spatz. “So I wasn’t surprised to find a significant number of people who thought that even if these interventions lengthened their life span, they were reluctant to adopt [one],” Spatz added. She is an assistant professor of cardiovascular medicine and a clinical investigator at the Center for Outcomes Research and Evaluation at Yale University School of Medicine. 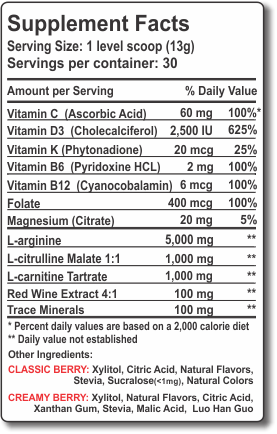 What if I told you that a daily supplement, taking twice as a delicious shake, could potentially lower your blood pressure and improve your cholesterol? And, combined with a heart-healthy diet and even just a walk around the block could dramatically change your numbers! 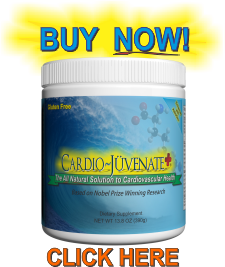 L-Arginine mixed with L-Carnitine and L-Citrulline, as is in our Cardio Juvenate Plus formula, has changed the lives of so many living with high blood pressure and high cholesterol. Check out our testimonials to learn more. white, 10 percent were black, 7 percent were Hispanic and 8 percent were Asian. About 38 percent had a history of high blood pressure, Spatz said. Respondents were given four options to treat their hypothetical high blood pressure, including taking a pill, drinking a daily cup of tea, exercising, or getting a monthly or semi-annual injection. Taking a pill was the most popular treatment, with 79 percent saying they’d be willing to do so for an extra month of life, 90 percent for an extra year and 96 percent for an extra five years. Drinking tea daily ranked second, with 78 percent reporting they would do so for one extra month of life, 91 percent would for an extra year and 96 percent would for an extra five years of life. Exercise ranked below that, with 63 percent of respondents saying they’d be willing to do so for an extra month of life. Meanwhile, 84 percent would exercise for an extra year of life, and 93 percent would exercise for an extra five years. Only 68 percent of participants would opt for a therapeutic shot every six months if it translated into an extra month of life; 85 percent would for an extra year of life and 93 percent would do so for an extra five years.